The Story: Before this trip, hairy shrimp were on my wish list. Fortunately my dive guide found it for me and my friends. 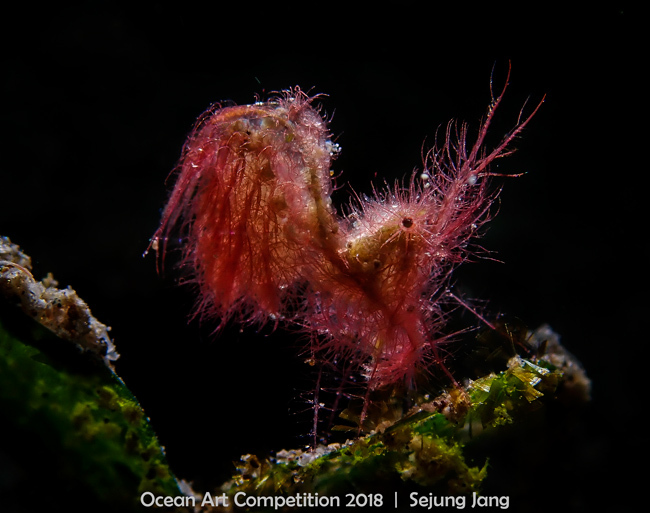 It was my first time to see red hairy shrimp. It's not easy to take photos of it, because it jumps a lot. After this photo, my camera didn't work at all. I'm so lucky at least this nice shot came out of it!! !